Harold Joseph Kinney obituary. Carnes Funeral Home. 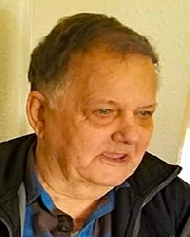 Harold (Hal) Kinney passed away on February 3, 2019 at his residence. He was born in Jennings, Louisiana to parents, Lawrence and Ena Richard Kinney and lived there until he joined the United States Air Force. He served four years in the Air Force. While enlisted Hal traveled to Scotland. Hal attended college taking courses to become a Draftsman and finally working his way up to Senior Designer for Ambitech; which became like a second family that he truly cared for. He has also been a resident of League City for approximately forty-five plus years. Hal was very active in Little League Football. He coached children ranging from 7–10 year olds for several years. He went undefeated for five years and had a blast doing it. Hal loved music, even dancing and watching old Westerns. He also was a complete sports buff. During football season he was glued to the T.V. watching college football, supporting LSU. He loved his children, grandchildren, co-workers and last but not least his granddaughter's dog, Sadie. He never liked dogs, but Sadie stole his heart and proceeded to spend the last couple of years perched on his lap watching their favorite Westerns and College Football. He is preceded in death by sons, Wayne and Patrick Kinney and Jay Hale. Hal is survived by loving wife of thirty-three years, Sharon Kinney; children, Bobby Kinney (Trish), Richard Kinney, Kay (Greg) Ellis, Michelle Hale (Pat Dorrian), Mike (Jennifer) Hale, Steven (Mariah) Hale, and numerous grandchildren and great-grandchildren. Hal raised a well-blended family consisting of seven boys and two girls. Celebration of Life Services will be held Monday, February 11, 2019 at the Carnes Funeral Home-Texas City, 3100 Gulf Freeway, TX 77591. A 3PM Visitation will be followed by 4PM Services.